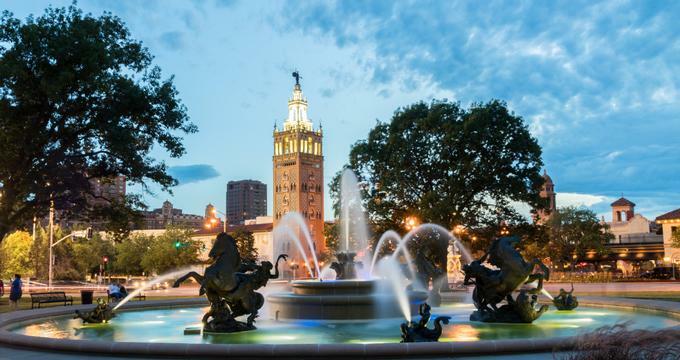 Kansas City is brimming with exciting and fun-filled spots that aim to cultivate a sense of wonder and discovery for curious children. The Wonderscope Children’s Museum of Kansas City offers art, mathematics, science and literature-based experiences, and the Kansas City Zoo is home to Nakita, the polar bear, along with an array of other creatures from around the world. The Wonderscope Children’s Museum of Kansas City is a family-friendly museum designed to encourage young children to take an interest in art, mathematics, science, and literature through the power of play. Established to inspire a lifelong love of learning of the arts, literature, the sciences, and mathematics through play, the Wonderscope Children’s Museum of Kansas City features a variety of interactive exhibits and experiences that children and their families can enjoy from building their racing tracks to role-playing as a farmer. Experiences include discovering gravity and motion in Raceways; exploring the properties of water in H2Oh; venture through the Wonder Why Garden; role-playing in Farm to Market; and climbing and learning in the Small Wonders Room. 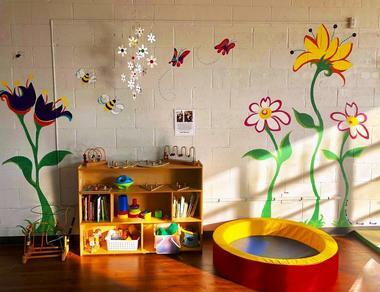 The Wonderscope Children’s Museum of Kansas City also offers a range of educational programs such as Circle Time, Music & Movement, and Art Time, and hosts events like WonderPalooza, WonderSpook, and WonderEve. The Moon Marble Company is a renowned toy store that produces and sells handmade wooden toys, board games, and antique marbles. Established in 1997, the company has been handcrafting wooden toys, turning colored glass into little marbles and teaching kids to play marbles ever since, and today brims with brightly colored and one-of-a-kind toys. Located in Breslow, the museum-like novelty shop features retro toys, Sno-Cone machines, tea sets, all kinds of games like Chinese checkers and tiddlywinks, and plastic bins brimming with candy-colored, streaked and tie-dyed marbles. The store also offers classes on how to play Knuckle Down and Play-for-Keepsies, and visitors can watch demonstrations on how marbles are made three days a week. The Kansas City Royals are a professional American baseball team that is based in Kansas City and competes in the Major League Baseball (MLB) as a member team of the American League (AL) Central division. 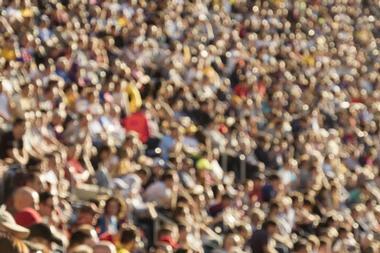 Named after the world-famous American Royal livestock show, rodeo and horse rodeo held every year in Kansas City; the Kansas City Royals are based at the Kauffman Stadium, formerly known as Royals Stadium, where they have played since 1973. Kauffman Stadium, often called ‘The K, is part of the Truman Sports Complex together with the adjacent Arrowhead Stadium, home of the Kansas City Chiefs of the National Football League. The Lakeside Nature Center is one of Missouri’s most significant wildlife rehabilitation facilities and was established to provide environmentally-focused educational and recreational opportunities for all ages. Located in Swope Park, the Lakeside Nature Center is home to around 75 animals that have been rescued and rehabilitated, including three barred owls, two turkey vultures, two Kestrel falcons, three varieties of hawks and two bald eagles. 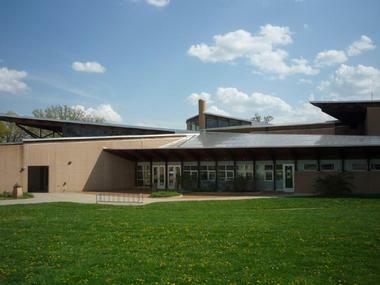 The Center also hosts summer camps for children at the historic Camp Lake of the Woods facility, which also offers hiking, mountain biking, camping, and cultural events throughout the year. 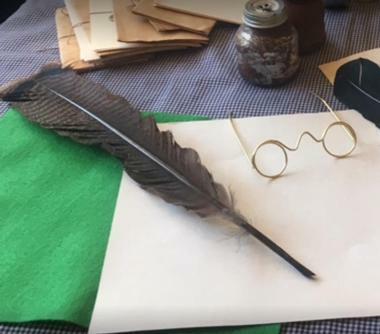 Educational programs held at the center include Camp Fire Heartland Summer Camp, Fantastic Frogs, Radical Reptiles, Feathers, Furs, Scales and Slime, Birds of Prey, Habitat Hikes, and more. 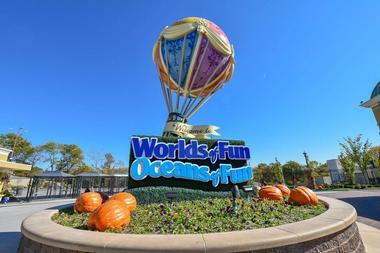 Worlds of Fun is a 235-acre amusement park in Kansas City with several themed areas that provides a host of fun for the whole family. Based on the theme from Jules Verne’s Around the World in Eighty Days, the park is divided into five major sections, namely Africa, Americana, Europe, the Orient, and Scandinavia, and all the attractions, rides, shows, and restaurants in each section are named according to the area theme. Visitors to the park begin in Scandinavia and work their way around the park through Africa, Americana, the Orient, and Europe, enjoying a variety of fun-filled attractions, thrilling and futuristic rides, and roller coasters, casual restaurants, themed shops, and entertaining shows. The Nelson-Atkins Museum of Art is a world-renowned art museum in Kansas City that is famed for its award-winning neoclassical architecture and impressive collection of Asian Art. Designed by prominent Kansas City architects Wight and Wight in the classical Beaux-Arts architectural style, the museum was opened in 1933, with the addition of the Bloch Building in 2007. The museum houses collections of art across a range of genres, including European and American paintings, Asian art, Native American Art, Photography and Kansas City Sculpture. The museum’s outstanding collection boasts works by famous artists such as Caravaggio, Pissarro, and De Kooning. The museum also hosts some educational programs, workshops and art classes for adults and children throughout the year. It also boasts an excellent restaurant called Rozelle Court, and a museum store, where souvenirs and mementos can be purchased. Kansas City Zoo is a 202-acre zoo in Swope Park that is home to more than 1,300 animals that are settled in a variety of habitats. Founded in 1909, the zoo is divided into five themed areas – namely Africa, Australia, KidZone, Tiger Trail, and The Valley, along with the Polar Bear Plunge which is home to Nakita, the polar bear who is easily the most famous creature at the zoo. Australia features free-roaming red kangaroos, wallabies, laughing kookaburras, koala bears, dingoes, a variety of bird species, and dromedary camels. The 95-acre Africa exhibit boasts an extensive collection of African animals, including elephants, rhinos and hippos, and the zoo is home to one of the most exceptional chimpanzee exhibits in North America. 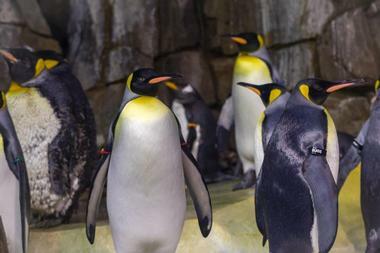 Other notable attractions at the zoo include a Penguin Plaza, a sea lion show, an Orangutan Canopy, a Discovery Barn, a Great Ape House, and a state-of-the-art IMAX theater. Located inside the historic Union Station Kansas City, Science City at Union Station is a family-friendly interactive science center that aims to inspire exploration, experimentation, and discovery in visitors of all ages. 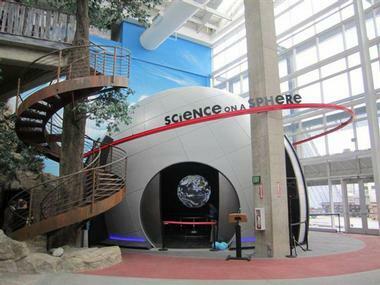 Hailed as one of the country's best science centers, the center features over 120 science-focused and interactive exhibits and top attractions such as the DinoLab and Digsite, the City Extreme Screen theatre, and the Arvin Gottlieb Planetarium. The Science Center features a demo area where science comes to life with daily demonstrations and activities, and discovery areas like an Engineerium, which introduces children to science, engineering, and math-related the careers; a creative Maker Studio, a Test Kitchen where visitors can explore the chemistry in food technology. 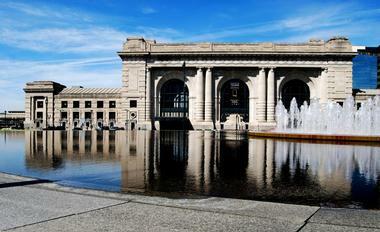 Located in the Crown Center District, Kansas City’s Union Station is a beautifully restored, historical and fully working train station that dates back to 1914 and is home to the Arvin Gottlieb Planetarium, Science City, the Regnier Extreme Screen Theatre, and several other educational and engaging attractions. The second-largest working train station in the country with several Amtrak trains arriving and departing every day, the refurbished station also hosts a variety of world-class permanent and traveling exhibitions, educational programs, theater shows, restaurants, and shops, as well as attractions such as the Todd Bolender Center for Dance and Creativity, and the Irish Museum and Cultural Center. Jacob L. Loose Park, also known as Loose Park is a large urban park in Kansas City that features a variety of outdoor attractions and activities, including a tranquil lake and water park, tennis courts, charming picnic areas, a shelter house, a beautiful rose garden, and several historic Civil War markers. The Rose Garden is a stunning venue for outdoor weddings, and theatrical performances and Japanese Tea Room and Garden offers a peaceful escape from the hustle and bustle of the city. Once a pasture belonging to Kansas City pioneer Seth Ward, Loose Park is now the third largest park in Kansas City and is open year-round. LEGOLAND Discovery Center Kansas City is an indoor family entertainment center that offers a fun, highly interactive and educational experience for young children. The center features iconic Kansas City landmarks built from LEGO bricks, fully interactive play areas including LEGO Friends Heartlake City, Train Station Adventure and LEGO Ideas Studio, and a 4D cinema experience. The park also features fun-filled rides and slides, including a recently added LEGO model of the Verruckt waterslide at Schlitterbahn Water Park. 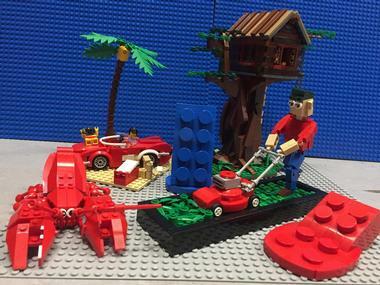 LEGOLAND Discovery Center Kansas City is open daily from 10:00 am with extended hours during holiday and peak operating times. The Kemper Museum of Contemporary Art is Missouri's largest contemporary museum and feature a collection of more than 700 works from the early 1900s to the present day. 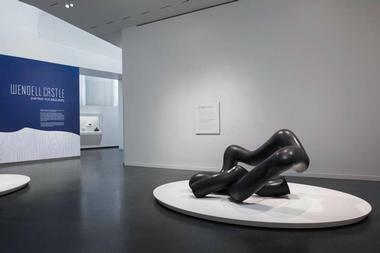 Based in an architecturally significant 23,200-square-foot concrete, steel, and glass building, the museum boasts works by famous artists such as Jackson Pollock, David Hockney, Georgia O’Keeffe, Dale Chihuly, and Willem de Kooning, along with photographic pieces by renowned photographer Nan Goldin. In addition to the exceptional collection of artworks, which are displayed in the main gallery section of the building, the museum also hosts 10–12 special and traveling exhibitions every year. The Café Sebastienne restaurant is located in the heart of the museum and combines the worlds of contemporary art and contemporary cuisine. Home to the largest single collection of pre-Civil War artifacts in the world, the Arabia Steamboat Museum is one of Kansas City’s most popular attractions. Taking visitors on a journey back in time to life on the American frontier in the mid-nineteenth century, the museum documents the modern-day treasure hunting adventure of salvaging the Arabia Steamboat. 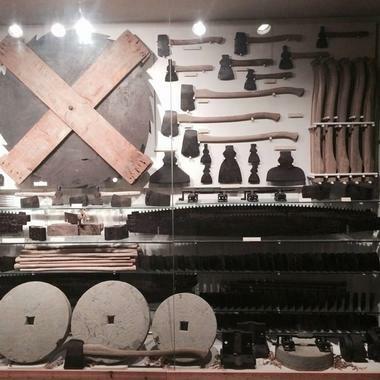 Boasting an incredible collection of items and artifacts found in the sunken Steamboat Arabia in the Missouri River, the Museum captivates audiences with exhibits, displays, and presentations on pioneer life in the 1800s. Discover old trinkets found in the depths of the ship, from fine china to the world’s oldest pickles. Take a guided tour of the museum, which includes a short movie where you will learn all about the process of salvaging the sunken steamboat. 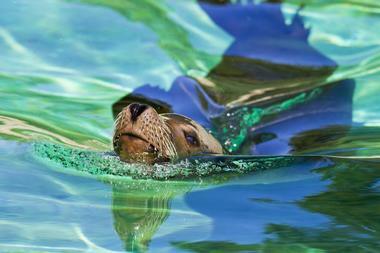 Home to more than 5,000 sea creatures in a variety of ocean habitats, SEA LIFE Kansas City Aquarium is a fantastic introduction into the underwater world of the ocean. The aquarium boasts a wealth of diverse habitats which can be explored, including an interactive ‘TouchPool Experience,’ where visitors can touch a crab or hold a starfish, and a spectacular underwater tunnel gives a 360-degree view of life beneath the sea. Fun and informative talks, workshops, and educational presentations are held throughout the day, and a free kid’s quiz trail is a fun way to test creature knowledge. Sea animals are fed at different times during the day, to the delight of both animals and aquarium visitors, and the aquarium plays hosts to a variety of conservation programs, such as seahorse breeding, seal rescue and re-homing lost or abandoned sea animals. The National Frontier Trails Museum is devoted to telling the story of the three great western routes, namely the California, Oregon and Santa Fe Trails. Located in Independence, Missouri, which is also the starting point of all three trails, the National Frontier Trails Museum highlights the unique features of each path and the dramatic impact each one has had on American history. The museum features an array of exhibits that focus on the early fur trappers and traders, the explorations of Lewis and Clark, and the reasons why people headed west to settle, as well as an trail artifacts, authentic covered wagons, original diaries and letters, an award-winning film, and a children's activity room. The museum also boasts an extensive research library devoted to the western trails, including over 2,600 first-person trail accounts and a museum gift shop with many unique western-themed items for sale. Visitors can also enjoy covered wagon rides with a narration of local history. 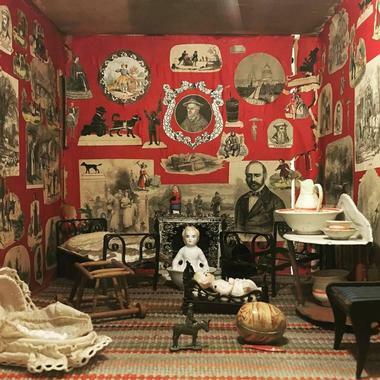 The National Museum of Toys and Miniatures, formerly known as the Kansas City Toy and Miniature Museum, houses the world's largest collection of fine-scale miniatures and antique toys. Located on the campus of the University of Missouri Kansas City in a John McKecknie designed building, the museum was founded in 1982 with items from avid collectors and lifelong friends Mary Harris Francis and Barbara Hall Marshall. Boasting more than 33,000 square feet of exhibit space, the museum has been in operation for more than three decades and features more than 72,000 objects such as the world’s largest collection of marbles, collections of teddy bears, Tinker Toys and Barbie Dolls. Located in Overland Park, Prairiefire, the Museum at Prairiefire is a 42,000 square foot architecturally significant facility that celebrates the natural history and culture of the region. Collaborating with the American Museum of Natural History and other cultural and educational institutions in the area, the Museum at Prairiefire boasts world-class exhibitions, educational and environmental programs, and educational opportunities. The museum’s extensive collection is exhibited in three distinct locations - The Great Hall, The Discovery Room and American Museum of Natural History Exhibition Gallery – each of which inspires visitors to broaden their understanding of the natural world. 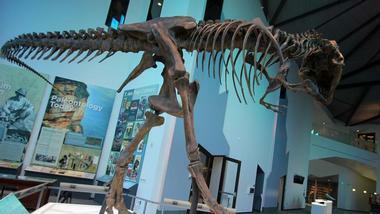 The Museum at Prairiefire takes visitors on an interactive journey through six areas of science in the Discovery Room from Astronomy to Paleontology and shows the person who found the very first Tyrannosaurus rex in the Great Hall. The Deanna Rose Children's Farmstead is a fun-filled family attraction in Overland Park that features nature trails, farm animals, butterfly gardens, birds of prey, show gardens, a Kanza Native American display, and a full-scale one-room schoolhouse. 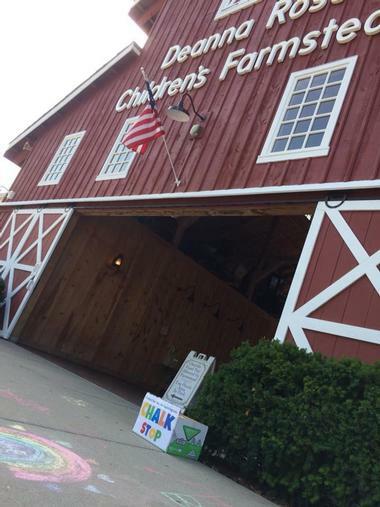 Founded in 1978 as a petting zoo and later renamed after Deanna Rose, the first Overland Park police officer killed in the line of duty in 1985; the farm also offers an array of activities for children of all ages such as pony rides, playgrounds, horse-drawn wagon rides, and a fishing pond. The Deanna Rose Children's Farmstead also hosts an elaborate Christmas light display around the Christmas Holiday Season. 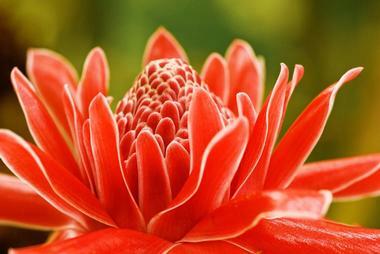 The Overland Park Arboretum and Botanical Gardens is a 300-acre botanical garden, as well as an educational, recreational and cultural resource for Kansas City. The relatively new arboretum is located in Overland Park and features 13 gardens with more than 1,700 species of flora and a wealth of fauna such as birds, snakes, deer, and dragonflies. A network of nature trails meander through rocky bluffs and bottomland paths, and 180 acres of prairie is filled with native grasses and wildflowers. Operated by the City of Overland Park, the Overland Park Arboretum and Botanical Gardens provides an array of environmental and educational programs and is open seven days a week, during daylight hours. 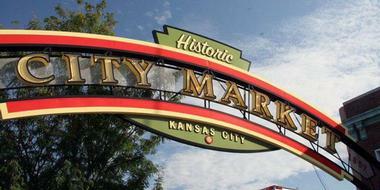 Founded in 1857 and boasting a rich tradition of over 150 years, the City Market has consistently been one of the largest and most popular farmers' markets in the Midwest ever since. Open daily year-round, the market features an alluring mix of shopping, dining, entertainment, and attractions in a unique open-air setting. 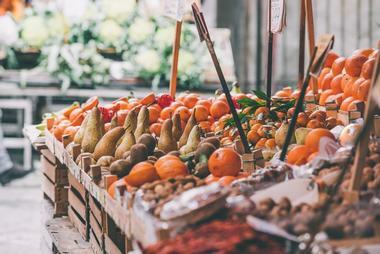 The much-loved market offers visitors a wealth of fresh, locally sourced produce and meat products, specialty groceries, herbs, flowers and handcrafted gifts from all over the world. The market plays host to a variety of events throughout the year, such as Yoga in the Park, Farm-to-Table Kitchen Classes, the City Market Crawfish Festival, and the City Market Busker Festival. 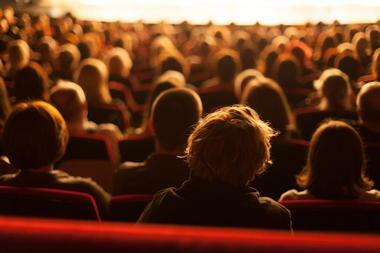 The Coterie Theater is a classic and contemporary theater that presents a calendar of performances and shows for audiences of all ages. Established in 1979 and located on the first level of the Crown Center, the nationally recognized, non-profit theater presents a year-round season of live plays and musicals on the company's mainstage, one-of-a-kind programming and educationally dramatic outreach programs that challenge both artists and audiences and aim to redefine children’s theater. The Coterie also offers year-round acting and theatre classes and an extensive summer program of courses and performance camps for PreK-12th grades. The company also has several community outreach programs, including in-school curriculum-based workshops, a teen playwriting program, and touring theatre productions. The Midland Railway is a heritage railroad that operates excursion trains on the first railroad line south of the Kansas River. 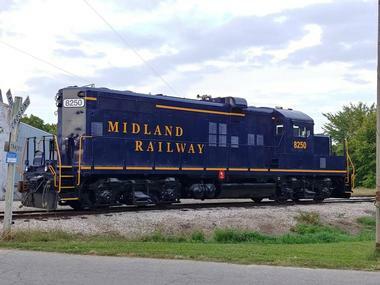 Chartered in 1982 and headquartered in a 1906-built depot in Baldwin City, the Midland Railway is 11 miles long and aims to educate the public about the vital role of railroading in the cultural, commercial and social life of America's Heartland. The Midland Railway offers 20-mile round trip train rides from Baldwin City to Ottawa Junction through the scenic Eastern Kansas farmlands and woodlands on vintage trains from Memorial Day (last Monday of May) to October 31. Located in the Brookside shopping area, Foo’s Fabulous Custard is a casual, quick-serve, friendly neighborhood spot that specializes and serves frozen custard, along with made-from-scratch breakfast and lunch, fresh sandwiches, and locally roasted coffee. The comfortable, inviting café offers an array of flavors of frozen custard, including Butter Pecan, Chocolate Fudge, German Chocolate, Java the Nut, Coffee Toffee, and Mint Oreo, to name but a few, along with a selection of specialty chocolates in various flavors, locally roasted gourmet coffee and hot drinks, made-to-order breakfasts and slurries, and healthy lunches, sandwiches, wraps, and salads. 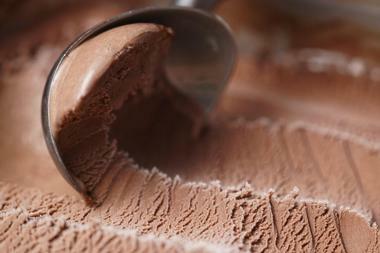 Foo’s Fabulous Custard is open for breakfast, lunch, and coffee, seven days a week. Powell Gardens is a 915-acre botanical garden that features rolling hills, windswept meadows, beautifully manicured gardens, meandering nature trails, significant architecture, and a year-round calendar of special events. 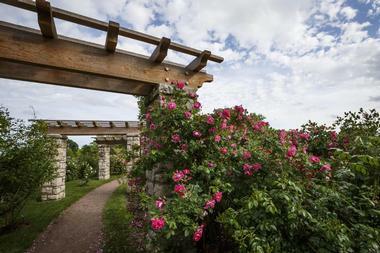 Notable attractions in the gardens include ever-changing Terrace Gardens, a Rock and Waterfall Garden, an Island Garden, a Wildflower Meadow, a Perennial Garden, an indoor conservatory, and native plantings. The gardens also boast some significant architectural attractions, including the Fay Jones-designed Marjorie Powell Allen Chapel, which offers a quiet place for reflection and inspiration, and the Visitor Education Center and the Meadow Pavilion, which reflect the serene, natural ambiance of the surrounding gardens. The 18,000-square-foot Visitor Education Center has a glass-topped conservatory, a classroom space, the Perennial Gifts gift shop, and Café Thyme. 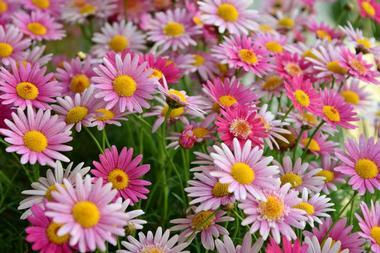 Pendleton's Country Market is a family-owned and operated farm market that sells fruit, vegetables, bedding plants, cut flowers and commodity crops grown on the farm. The farm was founded by the Pendleton family in the 1970s and has been producing a wide variety of vegetables, bedding plants, and cut flowers ever since. Visitors to the working farm can enjoy fun and educational experiences such as open house and several workshops, fruit and vegetable picking, and more, and purchase many of the farm’s products, produce and flowers at the market, which is open seven days a week.